President Buhari who has been one of the leading figures in the creation of terrorism and promotion of injustice has gone ahead to deliver an elaborate speech on security issues in Addis Ababa. President Muhammadu Buhari has stated that terrorism financing must be curtailed in order to halt senseless killings by extremists. His spokesman, Garba Shehu, in a statement said Buhari spoke Saturday evening at the meeting of the African Union Peace and Security Council in Addis Ababa, Ethiopia. Buhari said Nigeria remained committed to supporting counter terrorism efforts within the African Union and the United Nations. He called for resolute and coordinated initiatives by developing an AU data base of persons or groups and entities involved in terrorist acts for use by law enforcement agents. “Nigeria believes that the timely establishment of this tool at the continental level will be strategic in this fight,’’ he added. 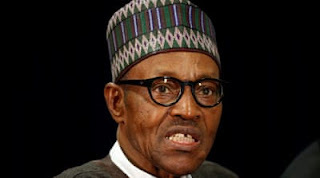 Buhari expressed concern over the increasing threats posed by transnational terrorism and condemned the continued activities of the terrorist groups in Africa, and around the world. He stressed that collaborative measures must be taken to disrupt the recruitment of terrorists, their financing networks and the movement of foreign fighters. Buhari added: “Terrorism cannot be defeated only through military force and law enforcement measures. “There is considerable evidence that the environmental state of the Lake contributed to the radicalisation of jobless youth who joined Boko Haram”, he said.